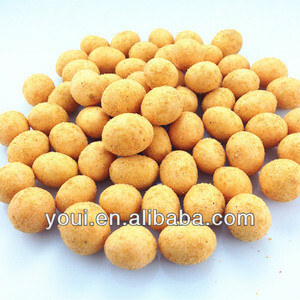 Crispy Garlic Roasted Coated Peanuts Snack Product Name Crispy Garlic Roasted Coated Peanuts Snack Ingredientsdients Peanuts,wheat flour,corn starch,garlic powder,sugar,salt,palm oil,etc Main Process Raw material inspection,selection,coating,roasting,seasoning,metal detactor,inner packing,outer carton,warehouse. 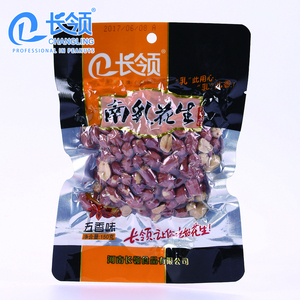 Selling Points NON-GMO,Rich in nutrition,Low fat,Healthy Flavour Garlic Texture Crispy Certificate HACCP,ISO22000,BRC,KOSHER Shelf Life 12 months Innner Package 10kg*1bag/CTN, Aluminium foil pack bag or as per clients' request Outer Package Double Wall Carton Carton Size( (cm) 38*28*28 Gross Weight 10.6KG/ctn Quantity: 20'/40'/40HQ 960/1920/2260ctns Payment T/T,L/C,DP MOQ 2 tons Samples Available Delivery Time within 25 working days upon receiving advance payment. OEM Available Packaging & Shipping Triangle Bag Pillow Bag Stand up pouch with Zipper Tin Bulk packaging Company Certificate We are a Chinese Japanese joint-venture, we have three factories in China and passed UL independent social responsible audit and FDA , we specialized in snacks like coated peanuts, green peas, edamames &hellip; etc for many years with clients from EU, USA, Canada, Russia, South Afirca, the Middle East and so on. 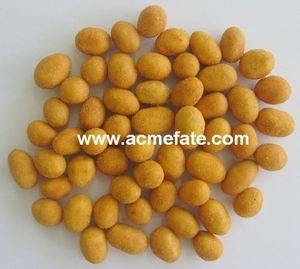 We can supply the coasted peanuts for supermarket and flight and many occasion. Our products have been sold to the EU, the Mid East, Southeast Asia, South America, Ukraine and Russia, more than 40 countries and cities. 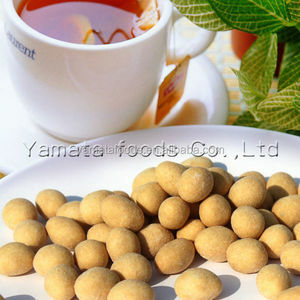 Further information kindly contacts me, i will reply you soon, or if you have MSN, Yahoo or Skype we can talk from there. About Samples: Samples are free to offer within 2kg The freight charges is covered by the buyer Concrate packing is according to your request, like zipper stand bag Quarantee: If the product you receive is not as described or low quality, the seller promises that you may return it before order completion and receive a full refund. 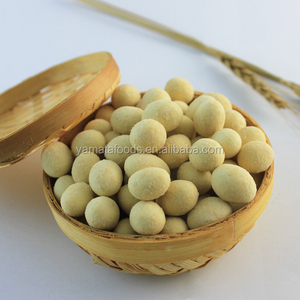 Payment Terms: a) 30% deposit in advance, 70% balance T/T before shipment if use customer's forwarder. b) 30% deposit in advance, 70% balance T/T after faxing the copy of BL if use seller's forwarder. 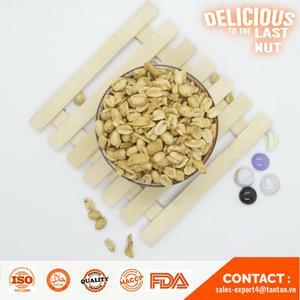 Alibaba.com offers 217 garlic roasted peanuts products. About 81% of these are peanuts, 17% are nut & kernel snacks, and 2% are cashew nuts. 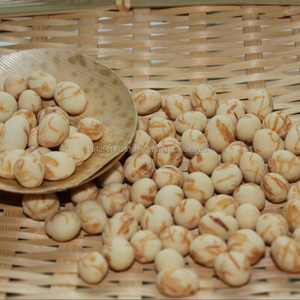 A wide variety of garlic roasted peanuts options are available to you, such as free samples. 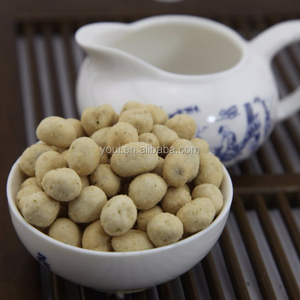 There are 229 garlic roasted peanuts suppliers, mainly located in Asia. 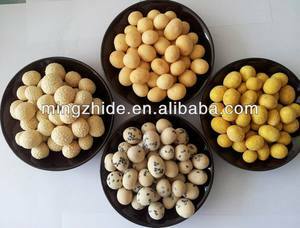 The top supplying countries are China (Mainland), France, and India, which supply 82%, 8%, and 1% of garlic roasted peanuts respectively. 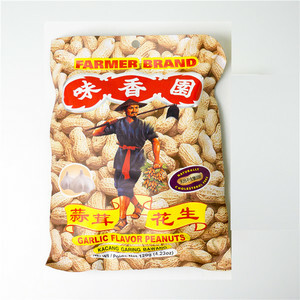 Garlic roasted peanuts products are most popular in North America, Western Europe, and Africa. You can ensure product safety by selecting from certified suppliers, including 115 with ISO22000, 62 with HACCP, and 62 with BRC certification.